Immigration and Checkpoints Authority (ICA) announced today that it has launched a six-month trial of a new contactless immigration clearance system at Tuas Checkpoint, which began on April 8. 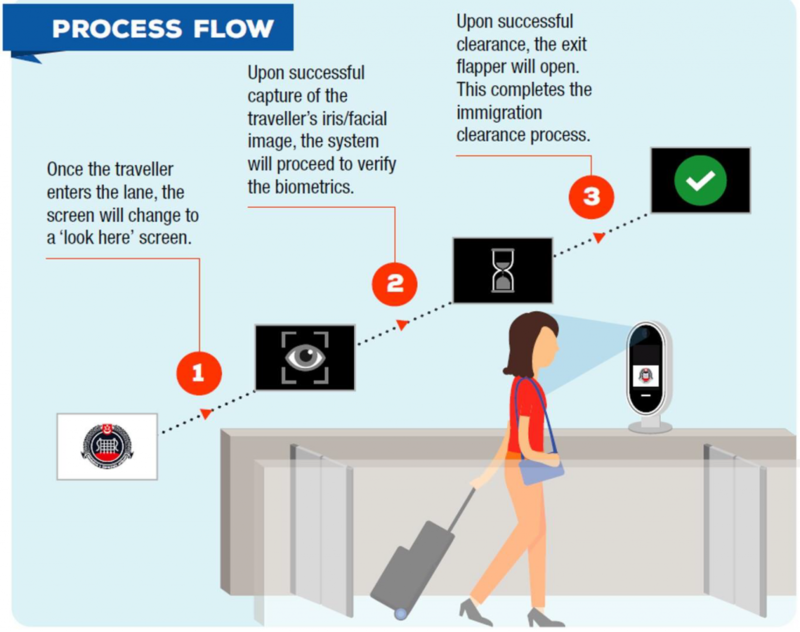 The new system is able to identify travelers through iris and facial scans, without the need for thumbprints or passports. A back-end system will help verify if the identified traveller holds a valid passport. To allow easy detection, travelers are not allowed to wear sunglasses, hats, or other head gear. Additionally, travelers should also not wear any coloured, patterned contact lenses or have any wearables that will block their facial and iris images. “This clearance process will definitely be faster and bring convenience to travellers, as there is no need to present and scan passports. If there’s no need to present and scan passports, the timing will be even shorter,” said ICA’s head of operations development, Superintendent Derrick Soong. The expected immigration clearance process is under one minute. Singapore citizens aged six and above whose passports begin with the letter K and issued after 1 Jan 2018 will be eligible for the trial. No prior sign-up is required, and eligible citizens are encouraged to participate in the trial to help improve the system. 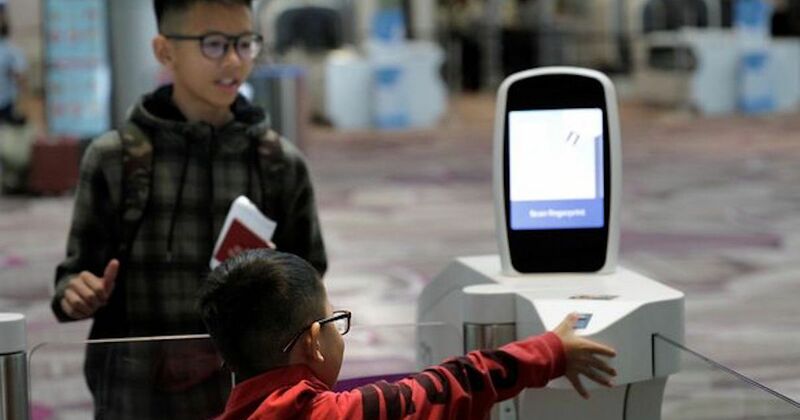 “The contactless immigration system will enhance operational efficiency, yet maintain our high standards of traveler identity verification and security, and is a significant step towards ICA’s vision of an efficient and hassle-free immigration clearance experience using biometric solutions,” said ICA in a statement.